Mexico is one of the 30 member states of the OECD (Organisation for Economic and Commercial Development). Of all these countries, Mexico, Spain and Portugal are the three whose economies gain most from tourism. In Spain, 11% of its GDP comes from tourism, in Portugal 10.5% and in Mexico 8.2%. 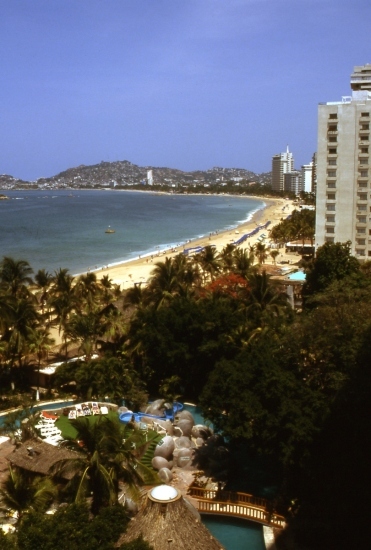 Acapulco, Mexico's first major resort. Photograph by Tony Burton. All rights reserved. Employment in Mexico is also greatly dependent on tourism. Of the 30 OECD countries, Mexico has the eighth highest figure for the proportion of the workforce in tourism (6.7%), after Spain (13%), Italy (9.7%), New Zealand (9.6%), Hungary (9.2%), Portugal (8.0%), Greece (7.3%) and Japan (6.9%). “Residential tourism”, an unusual category of tourism that is very important in certain specific regions in Mexico. Not sure this answers your question, but a valid passport is required for a non-Mexican individual to visit Mexico. Additional documentation is also required in some cases. For full details, you should contact your nearest Mexican Embassy or consulate.